1. What is the name of the owner? The owner is Theresa, bringing you over 30+ years of her experience with alterations and tailoring. View her biography for more. 2. Where is your shop located and what are your hours? We are located in the heart of Erlanger across from Kmart and next to McDonald’s. 3. Do you offer emergency rush services? Yes, we do! You can request it when you drop off your garment. If it is available, we will finish the work ahead of normal turnaround time for a small additional fee. We are walk-in only and no appointment is necessary. 6. What's the process to get my clothes altered? Easy as 1-2-3 with us! 1. Come in with your garments. Bring your shoes and undergarments, if necessary. 2. Get a price consultation and fitting. Pay before you leave with Mastercard, Visa, or cash. 3. Pick up and enjoy compliments. 7. What do I bring to a fitting? For the perfect fitting, typically we ask that you bring your exact shoes and undergarments. 8. How long will it take to complete my alterations? Typically, your garments are ready a few days after dropoff. Follow our Facebook page for closings due to holidays and inclement weather. 9. Do you provide professional steaming services? If your garment was altered with us, we steam it for FREE. 10. Do you have a price list? We don’t have a price list because all work is custom and is highly variable depending on fabric, material, and construction. When you come in the shop, we will give you a consultation and fitting so that you know the exact price you pay. No tricks. No surprises. 11. When and how do I pay? You may pay after you drop off your garments and before you leave. We accept Mastercard, Visa, and cash. 12. I'm unsatisfied with my alterations. What do I do?! 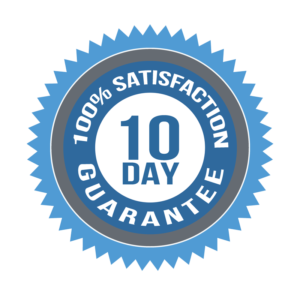 All our work is guaranteed 100%. If we ever miss the mark with the high standard we set for ourselves, please come in so we can re-do the work at no cost. After 10 days, we can work out a solution for a portion of the original price or at the discretion of the owner. We put forth quality work in every stitch with great service and at great prices. Our work is 100% guaranteed.